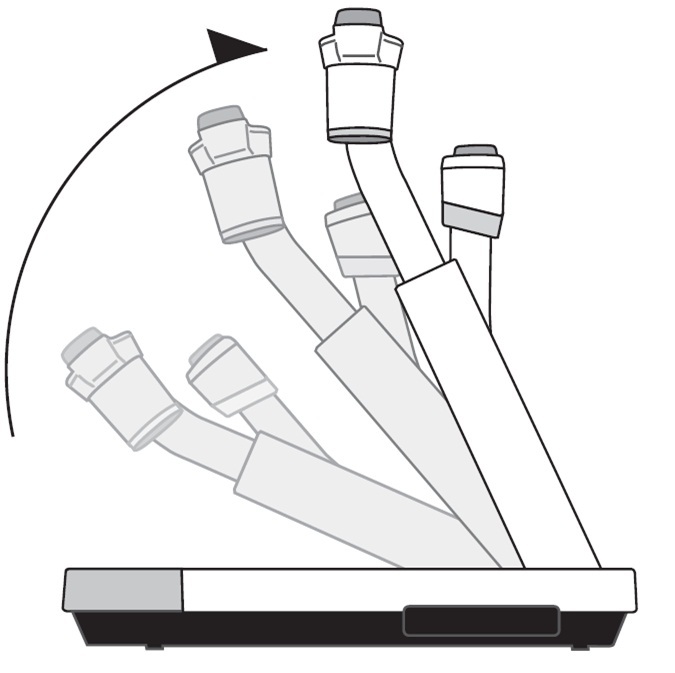 Quick setup facilitates a smooth start, enhancing the communication of your message. With only one action, the camera and light are ready, helping you to get your presentation off to a skilled, effortless start. 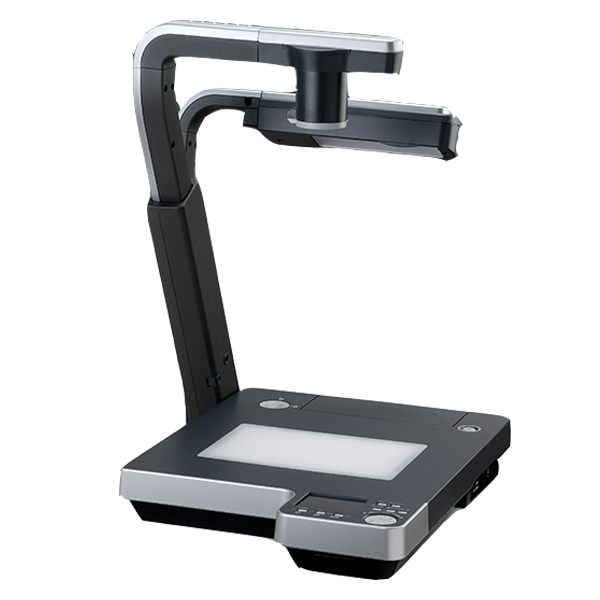 You can also fold the P100 up right away thanks to its compact size, allowing you to put it away, hassle-free, without int errupting your lesson or presentation. 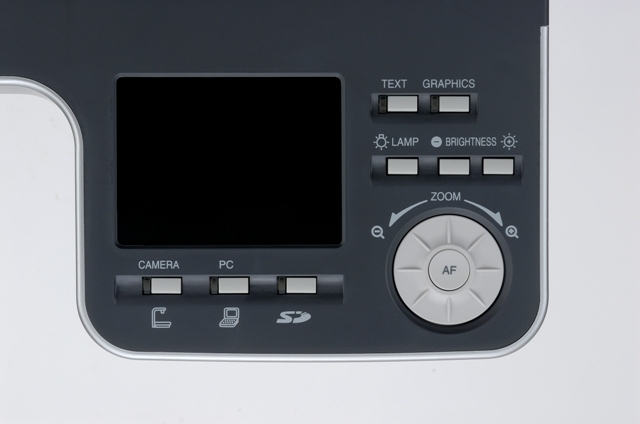 All of the functions that you frequently use, like zoom, auto focus, and Input selection, are concentrated conveniently near your right hand. Because of this easy access to the P100's buttons and dials, you can deliver your message effectively without interrupting its flow, allowing your presentation to proceed smoothly without affecting the concentration of your audience. This is true ingenuity - the big difference in enhancing the quality of your communication. The P100 allows you to enhance your power of persuasion by facing your audience with its built-in 3.5" LCD monitor. 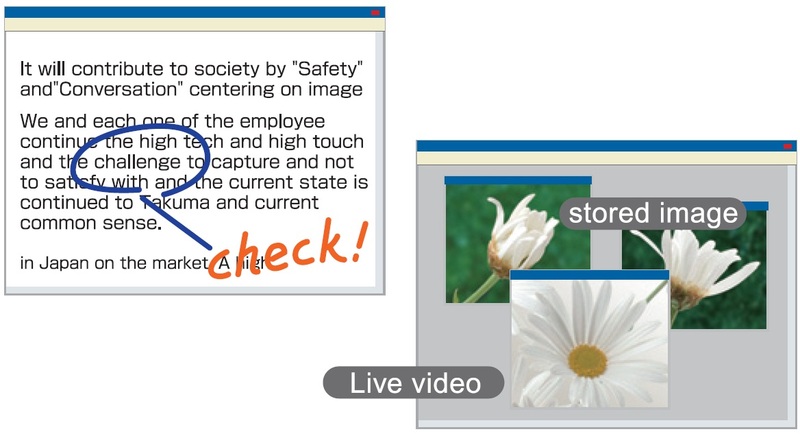 Visible from most angles, it allows you to see in front of you what your audience is viewing on the screen behind you, giving you the ability to accurately position your materials. Because you are able to proceed smoothly while facing your audience, their concentration will be boosted, along with your persuasiveness. 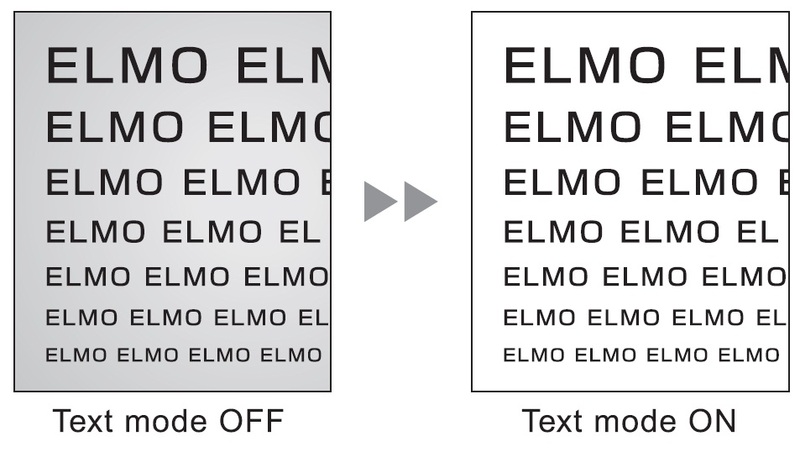 Because the truly important things are often in the details, ELMO insisted on high magnification optical zoom in order to display all materials with maximum clarity. Our 64x zoom will become the industry standard. It will faithfully display, in high resolution, the details of a wide range of books and texts, as well as three-dimensional objects and special materials such as slide films. Moreover, it can display subjects of very small sizes without distorting their image. It can handle almost any kind of material without hassle. This paves the way to remarkable improvements in communication speed and understanding, thus broadening the reach of lessons and meetings. Of course, the P100 is also equipped with One-Push Autofocus, which automatically, instantly, and smoothly determines and sets the right focus for a wide range of subjects. With approximately 1,300,00 pixels, the CMOS Image Sensor, yields both high resolution and understanding, allowing you to provide convincing high image quality for your audience, many of whom have become accustomed to high-quality TV and PC display performance. 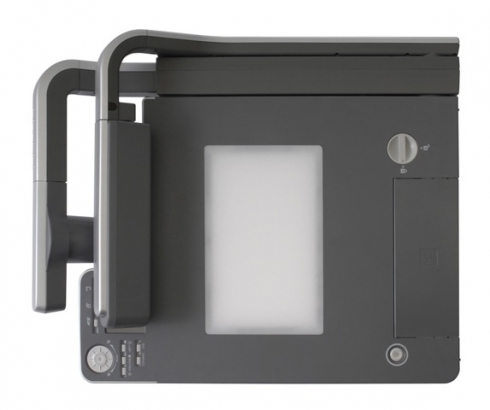 The USB 2.0 terminals allow the P100 to be linked with PC's, facilitating more effective communication. 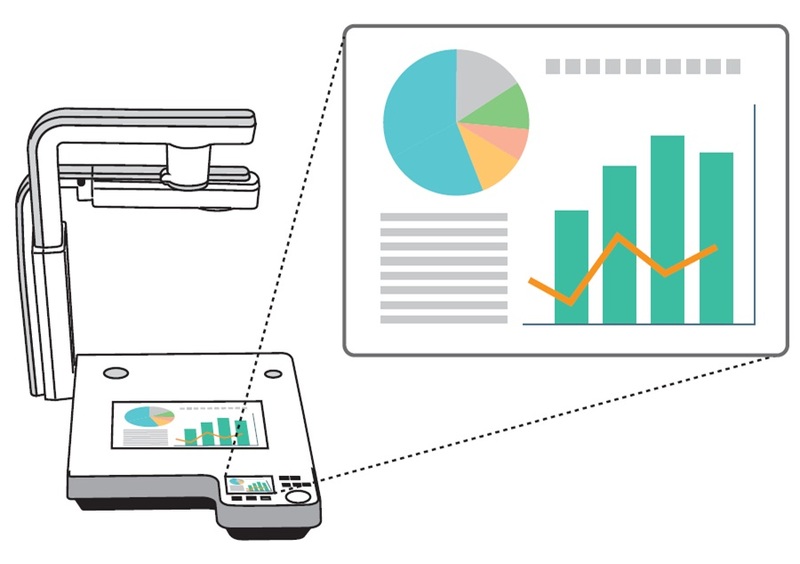 The included presentation-boosting software provides a screen separation function for side-by-side comparisons of live video and stored images, as well as a drawing function that allows you to enter lines and text, highlighting key areas of still images captured from the P100 and transferred to a PC. The P100 also makes it possible to present information or slide shows stored on an SD card (sold separately), allowing you to make presentations without needing PCs and other hardware. With the flexible free-arm function, you can capture your subject from any angle. 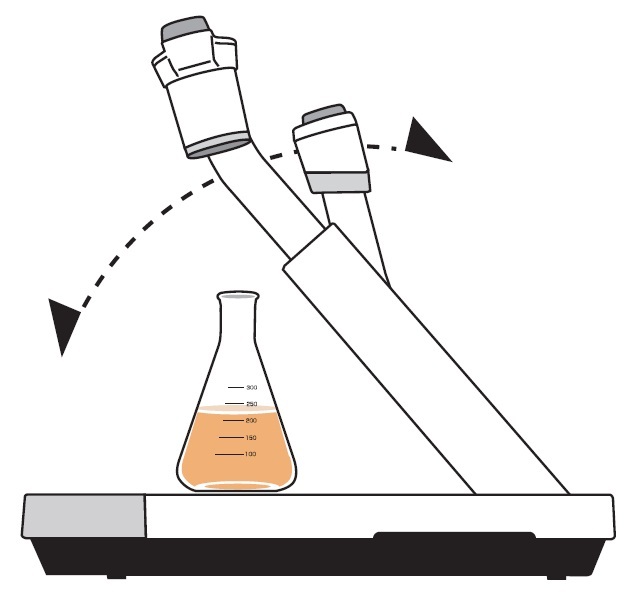 You can also project three-dimensional objects from effective angles, allowing you, for example, to display objects that are best viewed from the side, such as liquid-filled beakers. 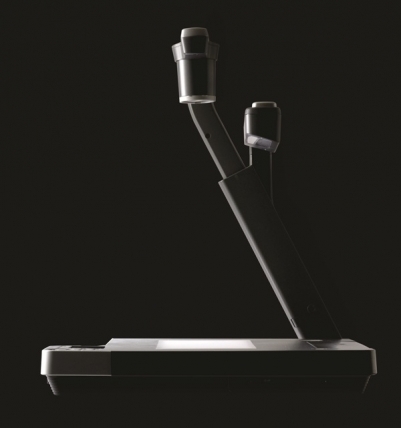 The flexible arm can even be positioned at lower points than other document cameras, allowing you to capture a much wider range of viewpoints than otherwise possible and broaden your repertoire of communication techniques. Because many textual subjects are monochromatic manuscripts, the P100 comes equipped with a text mode to accentuate the contrast between black and white and accent image quality. 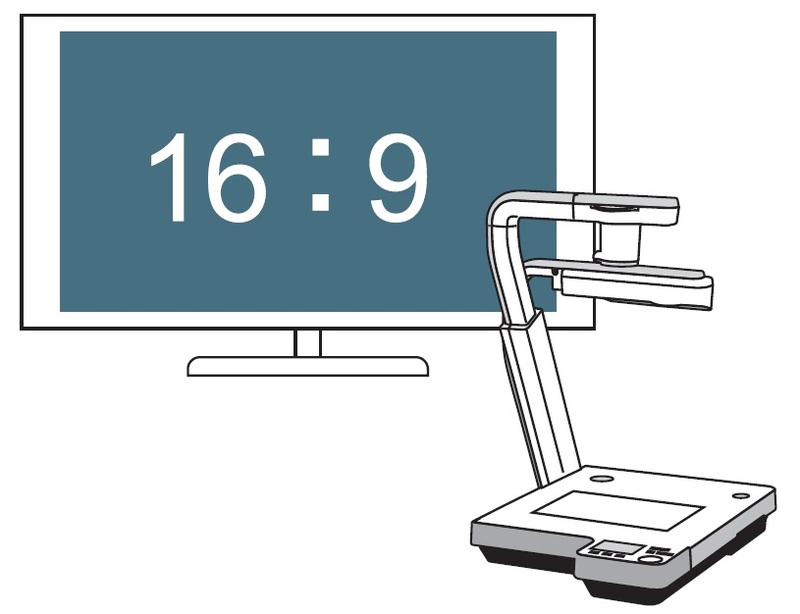 This facilitates clear reading of small text, as it enhances the capability to clearly reproduce letters. Because of a 1280x720-dot HDTV output, the P100 easily accommodates even 16:9 high definition TV monitors without elongating the display image. The P100 also supports progressive scanning, which prevents on-screen flickering and blurring for distraction-free viewing.